A great man on the razor's edge of destiny is visited by three angels. The first shows him the outcome of the present struggle and its causes and effects. A second showers a turbulent picture upon him of what the future holds for a union thrust forcibly through a period of gestation, torment and suffering. A third angel, transports the man to a time and place where the very fabric of life is threatened and holds the balance between annihilation and salvation. Behind these angelic messengers there watches and waits the Angel of Redemption. It is to those yet to incarnate to determine what fate awaits. All it would take was for one image to spark a revolution. That image becomes an iconic call to arms across a world senseless under the heel of tyranny. What follows is the unfolding of an age old plan awaiting each piece to fall into place. 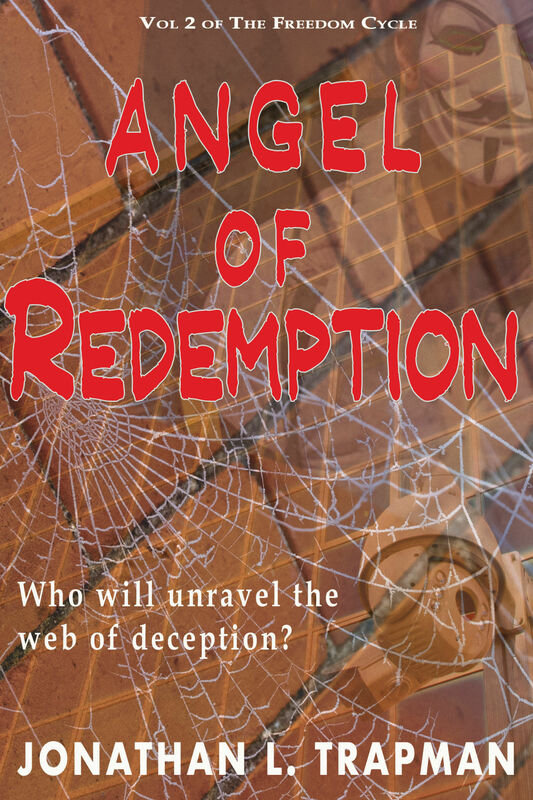 A visitation from the Angel of Redemption enlightens outcomes in a centuries old play. Outcomes would be down to destiny unless the dice roll for chance? Destiny teases personal choice and sought for outcomes and then the joker in the pack reveals itself. A renegade programmer sythes an exquisite path through deceit as a dedicated group - The Outsiders - professional guardians of the Light and millions of mind controlled authoritarian followers are set up to play their part in determining whether the Angel of Redemption returns. a truly epic journey within this seven book dynastic tale that takes its starting point from a true story his forebear initiated, some 230 years ago. An action changing the course of history. Through the lens of seven individual journeys, truths, realities and all kinds of deception are revealed. The hero in each confronts the very tenet upon which humanity's journey is mapped out. Moving through time, space and beyond what we believe we know, clues as to what lies behind our existence and its purpose are discovered. The key, the quest of many, awaits a master locksmith on the road to freedom.